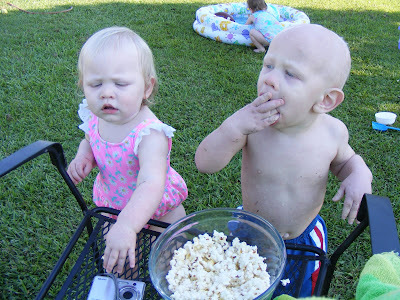 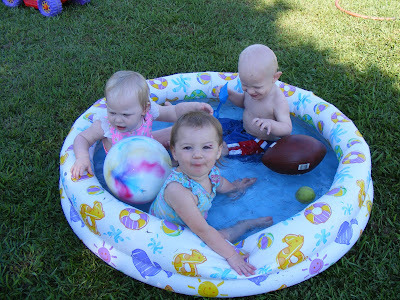 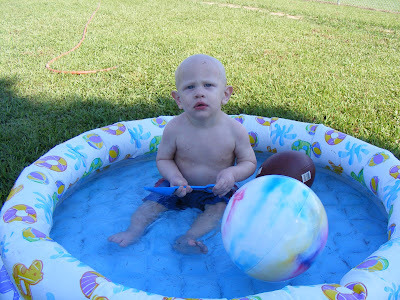 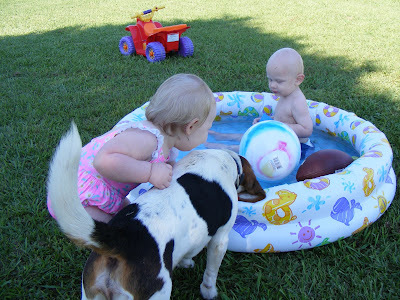 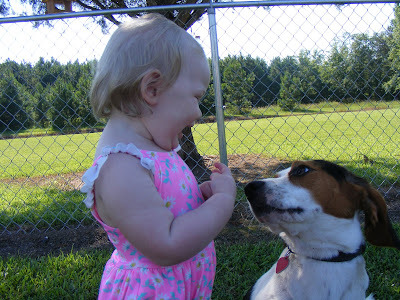 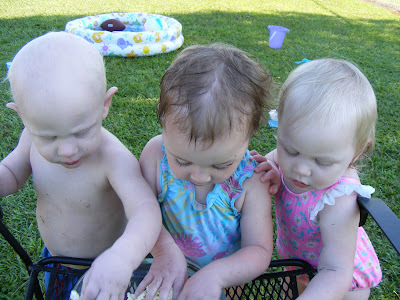 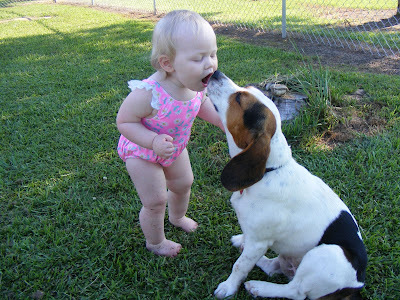 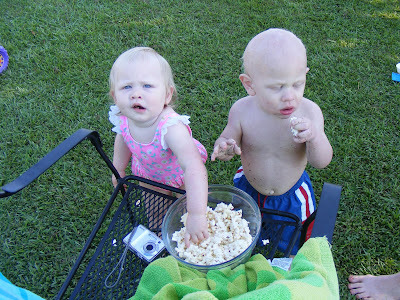 Savannah and Isaac eat popcorn and play with Ella in Ella's pool: S & I eat popcorn for the first time! 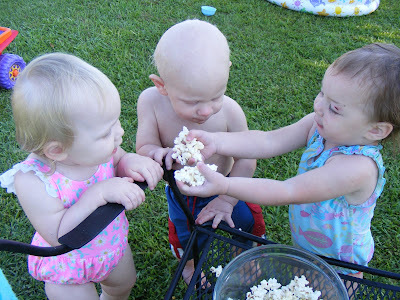 Isaac, Ella, and Savannah ate lots of popcorn. 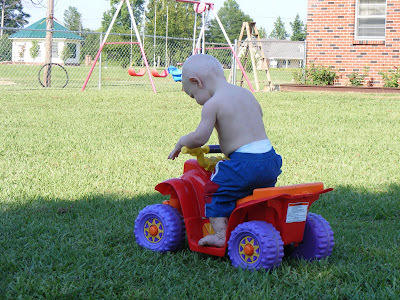 Isaac tries out Ella's 4-wheeler.